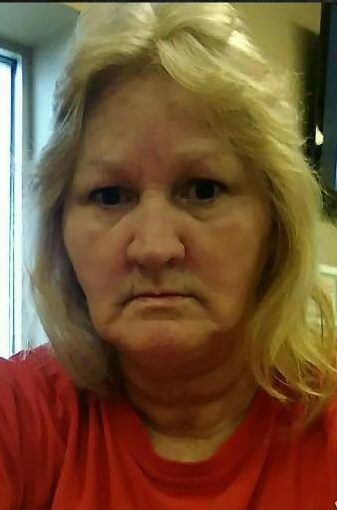 Katherine Christine "Tiny" Cardwell, 55, of Bowling Green, Ky. passed away Friday, August 31, 2018 at the Medical Center in Bowling Green, Ky. Tiny was born in Bowling Green, Ky. on May 27, 1963 to the late James and Eunice Kirby LeGrand. She was a custodian for Cannon Cleaning and at one time was an employee of Scott's Tobacco. She enjoyed taking care of her family and her pugs. She was preceded in death by her parents; sister Brenda LeGrand Llanos and brother Jackie Lynn LeGrand. Tiny is survived by her husband Tommy Cardwell; son Justin Lewis (Stephanie); step daughter Shannon Yoakem all of Bowling Green; brothers James "Bubby" LeGrand (Sabrina) and Kevin Cardwell (Karen) both of Bowling Green; sisters Sheila Wilson of Bowling Green, Jackie Cardwell (Tony) of Morgantown, Shannon Lindsey (Monty) of Edmonson Co. and half sister Kathy Simmons (James) of Fl. ; several nieces, nephews and cousins. Funeral Service will be held at Smith Funeral Home on Wednesday, Sept. 5, 2018 at 3 pm with Sabrina LeGrand officiating. Burial will follow in the Youngtown Cemetery. Visitation will be held on Wednesday, Sept. 5, from 10 am until time of service at Smith Funeral Home, Morgantown, Ky.